I recently went through an extensive candida cleanse, which pretty much included eating only vegetables for a good number of weeks. I literally had no cooking experience at this point, and this dish became my go-to for nourishment and kicking the candida. This dish is one of my favorites, and far too quick & simple to make. Not only is it jam packed with crazy amounts of preventative medicine, but also tastes quite unlike any vegetable stir-fry I’ve tried before. 1. 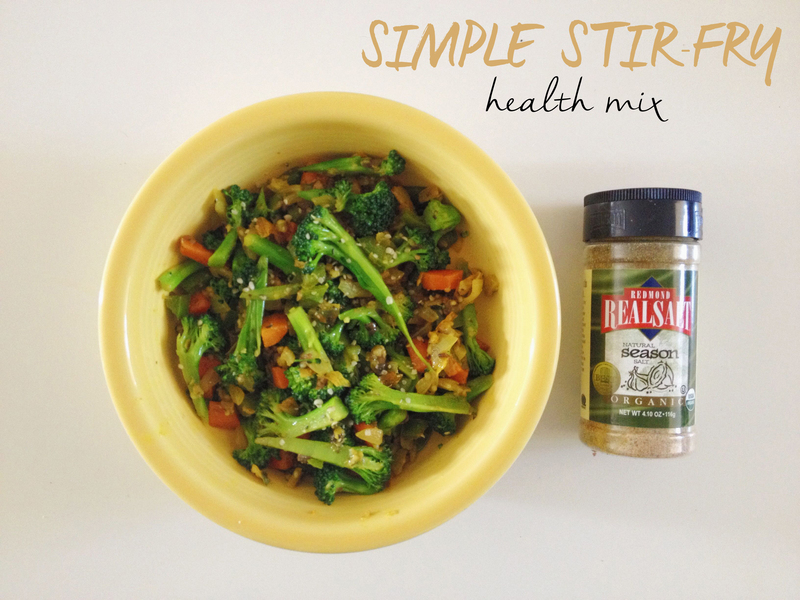 Gather & chop your favorite mixture of veggies. I use (lots) of organic broccoli, carrots, onions, mushrooms and green peppers. 3. Add carrots, cook 2 minutes. 4. Add onions & peppers, cook 2 minutes. 5. Add broccoli, mushrooms, & chopped garlic, cook 2 minutes. 6. 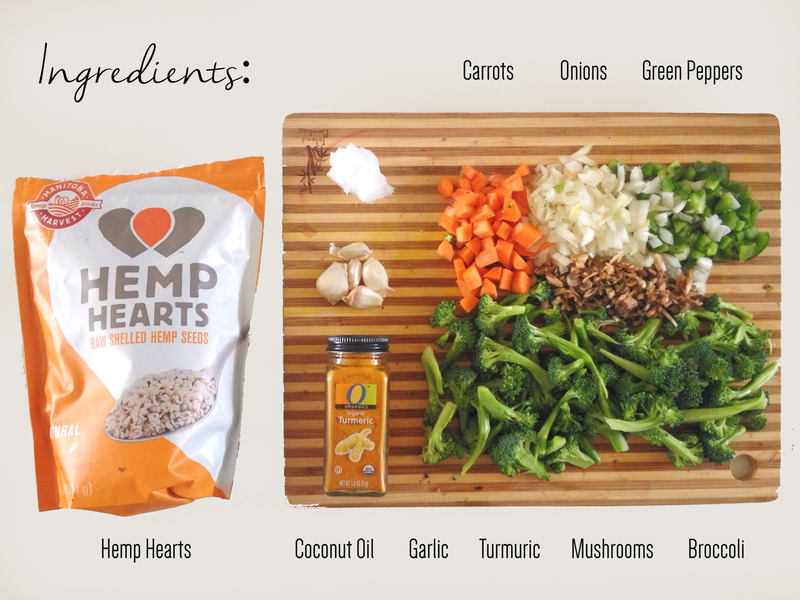 Turn heat off & sprinkle with hemp hearts, if desired. I also like to season this dish with the season salt from The Real Salt Co, pictured in the first photo above. This company sells unrefined, all natural sea salts, as well as addicting seasonings. Real Salt makes sure you get trace minerals back in your body, which are critical for heart and brain function, and are always missing from traditional table salt. I buy mine locally from my hometown in Southern Nevada @ Wellness 2000 Int’l, my go-to health store. Hemp Hearts are my favorite source of magnesium, and I’ve been sprinkling them on everything lately (to help my sleep). If you’re looking for ingredients to help fight your candida, look no further than coconut oil, garlic, and onions. Coconut oil contains caprylic acid, which is a powerful anti-fungal and actually kills the cell walls of candida. Garlic is also a great anti-fungal, but really helps with stimulating the liver & colon in detoxification and boosting good gut bacteria. Onions are anti-fungal, anti-bacterial, AND anti-parasitic, making them beneficial on many levels. Feel free to mix & match different vegetables, spices, and toppings for the benefits you’re looking for in your own health. Be sure to share what mixtures are your favorites!